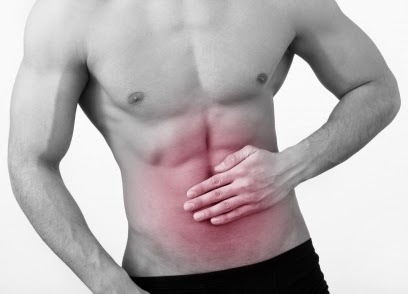 Vivekanantha Homeo Clinic & Psychological Counseling Centre, Chennai: Suffering with IBS Irritable Bowel Syndrome, is there is any best Homeopathy treatment for Irritable bowel syndrome in Chennai, Tamilnadu? Suffering with IBS Irritable Bowel Syndrome, is there is any best Homeopathy treatment for Irritable bowel syndrome in Chennai, Tamilnadu? Question: Respected doctor, am 35 years old man, am suffering with pain in stomach, nausea, vomiting, bloating abdomen, constipation and loose motion, per day am passing motion nearly 2 to 3 times, if am getting ready any where I need to pass motion, because of this am not able to travel or provide any presentation in office, its related with food like chicken, fish or other non - veg spicy foods, when i eat these foods am suffer much bloating abdomen with pain in stomach, irregular bowel movements, some time nausea and vomiting also. i underwent many Treatment but no effect, Doctors told its due to IBS irritable bowel syndrome, how IBS irritable bowel syndrome comes? Is there is any treatment in Homeopathy system of medicines for IBS irritable bowel syndrome? Doctor Answer: Dear sir, No worries, Homeopathy treatment helps for you, please find the complete details about IBS irritable bowel syndrome below. Proper treatment helps you; you need to consult the doctor in person to rule out your doubts. Doctors are not sure what causes IBS. The nerves and muscles in the bowel appear to be extra sensitive in people with IBS. Muscles may contract too much when you eat. These contractions can cause cramping and diarrhoea during or shortly after a meal. Or the nerves may react when the bowel stretches, causing cramping or pain. what foods always make you feel sick Take your notes to the doctor to see if certain foods trigger your symptoms or make them worse. If so, you should avoid eating these foods or eat less of them. Fiber may reduce the constipation associated with IBS because it makes stool soft and easier to pass. However, some people with IBS who have more sensitive nerves may feel a bit more abdominal discomfort after adding more fiber to their diet. Fiber is found in foods such as breads, cereals, beans, fruits, and vegetables. Learning to reduce stress can help with IBS. With less stress, you may find you have less cramping it easier to manage your symptoms. Meditation, exercise, hypnosis, and counselling may help. You may need to try different activities to see what works best for you. Symptomatic Homoeopathic medicines works well for IBS, and also relieves mental fag because of IBS.